On January 21, 2011, the Gig Harbor, Washington-based Institute for Functional Medicine (IFM) announced a collaboration between IFM and the Tallahassee Memorial Family Medicine Residency Program (FMRP). The collaboration, funded by a $1.2 million grant from the Florida Agency for Health Care Administration, will be a pilot project to "establish a Medical Symptom Reduction Clinic utilizing the functional medicine model and a chronic-care team approach for patient care." The project, according to the release, will "integrate functional medicine/nutrition into [the residency's] curriculum and clinical activities." One area of investigation includes "personalized care for individuals with chronic disease, particularly for vulnerable patients recently discharged from the hospital." Key outcome measures are potential reductions in ER usage and hospitalizations. The project will be headed up by FMRP behavioral medicine faculty member Cathy Snapp, PhD. The team also includes Narayanan Krishnamurthy, MD, Phillip Treadwell, PharmD, Dean Watson, MD and Ruth DeBusk, PhD, RD, IFM's lead faculty member for its functional nutrition course. In addition, IFM faculty members Rich Panico, MD and Michael Stone, MD, MS will be consultants. Comment: This breakthrough project is more thoroughly described here in the release. This appears to be a model to potentially emulate. Take a look. Congratulations to IFM, the leaders of which have been promising a development like this since publication of their exceptional white paper 21st Century Medicine.Fun to see Panico involved. His integrative medicine leadership at Athens (Georgia) Regional Medical Center was featured in this Integrator article. An article in the Winter 2010 issue of Holistic Primary Care contains results of a 52 item survey of 2000 primary care doctors (9% response rate) across the United States. Core finding: "The numbers tell us that nearly 80% of all primary care practitioners are incorporating some modalities from holistic or 'alternative' medicine into their practices, with nutrition counseling and stress management being most common. Many are getting into functional medicine, botanical medicine, and acupuncture. One-fifth ... are using some form of hands-on manual technique with your patients." The survey was sent to practitioners who routinely receive HPC. Of the respondents: 78% were MDs, 12% DOs, and the remainder NDs, DCs, nurses and others; 62% were men; and the average age was 50. Over half of the respondents surveyed said they use information from HPC in their practices and one-third have it available in their waiting rooms. The synopsis on the HPC site notes that while supplement prescription is growing, roughly a third of respondents reported having seen a significant adverse reaction to supplement use. The full survey outcomes, which also includes data on practice patterns, is available for purchase here. Comment: The sample selected for this survey and the low response rate each urge caution on extrapolations to the broader primary care population. Still, these data, and the spin on them, are interesting. Duke Primary Care physician Richard Schneider, MD, a recent graduate of the Fellowship in Integrative Medicine at the University of Arizona Center for Integrative Medicine, found difficulties in developing an integrative medicine practice after he completed his program. He wondered how his fellow graduates were doing. Schneider surveyed 27 of them. In a report entitled Integrative Medicine: The Spirit is Willing, Schneider shares that 23% were in integrative practices, about 50% were "in planning stages", and those in the other quarter were "thinking about it." Schneider, a medical director in the Duke system where integrative medicine investment has been relatively high, concludes: "The results are quite encouraging, but not without caveats to the development of an IM practice." The top obstacle was reimbursement with the second "time constraints." Schneider's report includes information on the barriers and ideas where the Fellows need to focus attention to foster the development of their integrative medicine practices. Schneider is medical director at Duke Primary Care's Creedmoor Road Clinic and is co-founder and faculty at CoHvation, which he describes as "a think-tank for collaborative healthcare innovations which seeks to assist and promote Integrative Medicine practice in both the in and out patient setting." Comment: Schneider's findings recalled to mind survey data on practices of licensed acupuncturists in which significant under-employment was found. My sense is that many naturopathic medical graduates are similarly under-utilized. Detractors may conclude that the problem is that these services don't work, otherwise they'd draw patients, wouldn't they? Advocates will say that time and money (reimbursement and constraints) are significant obstacles; challenges with business models has little to do with the potential health care value of these practices. Meantime, I wonder how long spirits across these fields will remain willing if something doesn't give. The best hope on the horizon are practical pilots such as that which appears to be modeled by IFM in Tallahassee (see article this Round-up). In the short, holiday-filled December 23-January 13 (then 18) time-frame for public input to the National Prevention, Health Promotion and Public Health Council's draft National Prevention (and Health Promotion) Strategy, some in the integrative practice community found time to respond. Among those submitting: Samueli Institute, Integrated Healthcare Policy Consortium, American Chiropractic Association, American Association of Naturopathic Physicians, National Center for Homeopathy and various individuals. These perspectives, published as a group here, yield the following key themes. Appoint the Advisory Group of community experts, including those expert in "integrative health care" specifically noted in the law. Change the title: National Prevention Strategy says more of the same. The present definitions and approaches are too limited if you want the transformational outcome asserted. Explore the value in primary prevention and health promotion of integrative practices and practitioners. Use emerging community and self-care resources. Engage in integrative practice research that has health and wellness outcomes. Bear in mind that the ultimate national strategy that will be transformational will rely on research we need to first engage. Comment: By sharing their perspectives publicly, these integrative practice organizations allow us to begin to see where common themes emerge and lines of continuity exist. Thanks to each of these organizations and individuals for sharing. My own conclusion, more harsh than these, is that the Council must dramatically slow its time-table. Otherwise it will not successfully engage what the draft declares in the first sentence as "the unprecedented opportunity to shift the nation from a focus on sickness and disease to one based on wellness and prevention." The focus of the draft strategy, as Samueli Institute CEO Wayne Jonas, MD summarized in a note to the Integrator, "still seems to on preventing death rather than improving health." The document needs significant work or the outcomes will fall far short of the goal. are Wayne Jonas, MD (Samueli) and Janet Kahn, PhD (IHPC). Keep pressing! Comment: Never mind, for a moment, that this Advisory Group was appointed after the National Prevention Strategy was drafted and the public comment period closed. Comments on the draft National Prevention Strategy by organizations associated with integrative practice, as noted above, called for more input from the integrative practice community and specifically for appointment of the Advisory Group before the Strategy is finalized. Kerr is a familiar face representing CAM/IM in the Beltway. I can't think of anyone else with such a scope of appointments. Yet, to my knowledge, Kerr hasn't thus far viewed those positions as a responsibility to network deeply with the expertise that surrounds her in the integrative health world to best inform her work as a public servant. I may have missed something. Here's hoping that Kerr will do all she can to connect with and gather ideas from these community experts for whom she may be the one-and-only obvious point of access. Congratulations, Charlotte, and good luck with this "the unprecedented opportunity to shift the nation from a focus on sickness and disease to one based on wellness and prevention." The January 21, 2011 announcement of appointees to the critically important Methodology Committee of the Patient Centered Outcomes Research Institute (PCORI) did not include any individuals whose published biographies referenced significant experience in integrative health. The language of the enabling statute requires that PCORI's "Expert Advisory Council(s) shall ... include experts in integrative health and primary prevention strategies." Among organizations that submitted nominations were the Integrated Healthcare Policy Consortium and the Academic Consortium for Complementary and Alternative Health Care, with which I am involved. Comment: Following a note I sent to colleagues regarding the missing appointment of anyone deeply experience in integrative health research methods, one colleague wrote back that Brian Mittman, PhD, Director, VA Center for Implementation Practice and Research Support, Department of Veterans Affairs in Los Angeles "is a good guy" has some prior involvement in chiropractic research. At present, however, it would appear that the distinct experience that whole person, health-focused integrative practices might have brought into the Committee, as apparently required by Congress, were left on the appointment room floor. My auditor brother-in-law, formerly with the US General Accounting Office, once taught me about the meaning of "compliance audit." An auditor would find non compliance here. On January 13, 2011, the multidisciplinary Integrated Healthcare Policy Consortium published a press release entitled "Policy Statement on the National Healthcare Workforce in an Era of Integration." The release responds to an opportunity and some confusion created when Congress, in multiple places in the Patient Protection and Affordable Health Care Act, included phrases such as "integrative health care" and "integrative practitioner" without defining what they mean. The IHPC's approach is to broadly define who should be included in workforce planning, rather than to specifically define an integrative practitioner. Comment: The significant short-coming in the IHPC statement is that it does not note any specific traits that distinguish an "integrative practitioner" from one who is not an integrative practitioner. This is a significant problem. How can IHPC or anyone else argue for the need for inclusion of "integrative practitioners" if Congress does not have a handle on what the term means. The American Association of Naturopathic Physicians, a recent member of the IHPC's Partners in Health program, offers such a definition in their response to the National Prevention Strategy. IHPC is the ideal body to do this. I hope they still plan to tackle it. On January 19, 2011, the Department of Veterans Affairs (VA) announced that it is creating a new office to develop personal, patient-centered models of care for Veterans. The release notes that Tracy Williams Gaudet, MD will direct the new Office of Patient Centered Care and Cultural Transformation. Gaudet formerly served in two key academic medicine capacities in integrative medicine: as executive director of Duke Integrative Medicine and prior to that as the first director of the then "Program in Integrative Medicine" established by Andrew Weil, MD at the University of Arizona. The VA model that Gaudet is developing is expected to influence care in the over 1,000 "points of care across" the Nation that are operated by the VA. States Gaudet: "The Office of Patient Centered Care and Cultural Transformation will be a living, learning organization in which we will discover and demonstrate new models of care, analyze the results, and then create strategies that allow for their translation and implementation across the VA. VA will continue to be a national leader in innovation, and, in this way, we will provide the future of high-quality health care to our Veterans." An integrative leader familiar with military practices stated about Gaudet's appointment: "An unusual pick, but a good one." Comment: This is a huge sign of the uptake of integrative approaches in the nation's largest healthcare system. I couldn't help but notice that the release stated that Gaudet worked at "Duke Integrated Medicine" rather than its correct title of "Duke Integrative Medicine." May have been a slip up. Then again, the VA media managers may have chosen a term more comfortable to the mainstream and less revealing that would allow Gaudet to begin her work without being beset by integrative medicine's antagonists. My guess: The integrative practice community will soon have a FOT group paralleling the informal FOB that surrounded another influential Beltway person a decade ago.
" ... a breakthrough effort to improve the quality of health care across America by integrating evidence-based clinical pharmacy services into the care and management of high-risk, high-cost, complex patients ... PSPC uses a fast-paced, iterative improvement method designed to support teams in testing and spreading leading practices found to significantly improve health outcomes and patient safety through the integration of clinical pharmacy services. Key to the method's effectiveness is that the leading practices are drawn from real practice in organizations that have achieved outstanding results. The Council of Colleges of Acupuncture and Oriental Medicine has 55 member schools representing some 8,000 students who are seeking to enter the workforce as licensed acupuncturists. The Winter 2010 CCAOM newsletter lists the following priorities in its present strategic plan. Comment: Pleasing to see #2 prioritized highly with #1. Executives in academia disagree about whether or not an educational institution needs to take responsibility for the state of the profession(s) into which they graduate students. My view is that the schools must be involved, especially if they are educating students for an emerging field, whether licensed acupuncturists or of integrative medical doctors, in which much participation is speculative. My position is part principle and part based on the realities that schools are the main aggregators of capital in these fields. The budgets of the professional associations pale. "Learn the knowledge and specialized skills to be part of a holistic circle of care, and modalities dedicated to the total wellness of patients." Comment: I came across this page while working on a separate project. It occurred to me that anyone seeking to convince a stuck colleague that s/he can't rightfully characterize the chiropractic profession as wanting to go it alone and in opposition to conventional medicine ought to be handed this statement of value from NYCC. While there remain holier-than-thou antagonists in some leadership positions in chiropractic academics and policy, what NYCC expresses here, and more importantly, increasingly practices, is an emerging strain. It's ironic that the bull-headed, go-it-alone political power that earned chiropractic physicians a place in the VA and DoD has now created the opportunity for new students to be "part of a holistic circle of care." Good for NYCC. Grantmakers in Health to establish "Complementary and Alternative Medicine (CAM) Funders' Network"
"This face-to-face meeting will allow us to think strategically about what philanthropy's role can and should be in shaping a future healthcare delivery system that integrates complementary and alternative medicine into conventional care settings." All recipients were "invited to attend the inaugural meeting of the Network at GIH's upcoming Annual Meeting on Health Philanthropy." The meeting will be Friday, March 4, 2011. The CAM Funders Network is supported by funding from the W. K. Kellogg Foundation, the Fannie E. Rippel Foundation, and the Samueli Foundation. Comment: This is a smart development and a great constituency in which to create visibility for "CAM" and integrative medicine, which still typically need a kick-start from philanthropy to get moving inside the mainstream delivery system. (See article on U Arizona Fellows in this Round-up.) This initiative is distinct, in my view, from the Bravewell Collaborative of philanthropists. The Bravewell has, from shortly after its founding a decade ago as the Philanthropic Collaborative for Integrative Medicine, aggregated donors to back a few specific, strategic initiatives. Credit the 3 foundations that have taken the lead in organizing the meeting. 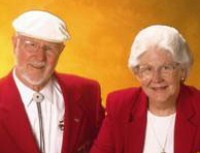 The National College of Natural Medicine in Portland, Oregon announced on January 31, 2011 a $1.35 million gift from Bob and Charlee Moore, founders of Bob's Red Mill Natural Foods. The Moore family gift, the largest in NCNM's 55 years, will fund NCNM's Ending Childhood Obesity (ECO) Project and also help establish a research and teaching kitchen on NCNM's campus. According to the release, the ECO Project is a free, community-based nutrition program that "aims to reduce chronic disease and morbidity associated with childhood obesity by promoting healthy food choices and empowering families through education and training." Moore explained the gift: "We want to do more to inspire people to make changes in their diets-and we believe that our growing partnership with NCNM will accomplish that." NCNM student clinicians presently delivery care in a wide network of community health clinical programs. NCNM President, David J. Schleich, PhD noted that nutrition "is the cornerstone to good health, and the foundation of the medical education that we provide." Naturopathic physicians have the highest level of clinical nutrition training of any physician-level practitioners. The ECO Project was developed by NCNM's Courtney Jackson, ND, an adjunct faculty member who is the lead physician overseeing the new ECO team. For NCNM, the gift marks the launch of the school's $25-million capital campaign. Bob's Red Mill Natural Foods is described in the release as "a distinctive stone grinding miller of whole grains, founded in 1978 with the mission of moving people back to the basics with healthy whole grains, high-fiber and complex carbohydrates." Comment: One of the challenges for the licensed "CAM" fields is that few foundations, family funds, individual philanthropists or major corporations choose to bestow major gifts on their educational, clinical and research or community programs like the ECO Project funded here. Few government grants for education are open and in fact, very few NIH NCCAM dollars, relatively speaking, go to these "CAM" schools. All donors and granters favor conventional institutions and academic health centers. I can only think of 2 prior donations of over $1-million to naturopathic medical institutions. The maturation of the fields, scores of good ideas, and access to integrative services are each held back. The generosity of Bob and Charlee Moore must be appreciated in this context. As one who sometimes looks for such dollars to bridge this healthcare education disparity, here's hope that this is the beginning of a trend! Congratulations NCNM, and to the many individuals and families who stand to benefit from the ECO project. A new chiropractic practice-based research network (PBRN) has been established to "address research questions that require a real-world setting to be answered." The Integrated Chiropractic Outcomes Network (ICON) was created by Cheryl Hawk, DC, PhD and others specifically with a focus on examining health and wellness outcomes of chiropractic treatment. The mission: "Conduct collaborative research through a partnership between researchers and practitioners with the ultimate goal of enhancing the health of the public and contributing to the scientific evidence base related to health promotion and disease prevention." The headline of the solicitation to chiropractors to join the network is ICON's planned focus on wellness." This is in contradistinction to the "chiropractic research, to date, [that] has focused more on pain and symptom management than on prevention and health promotion, even though chiropractic has traditionally considered itself to be prevention-oriented." ICON is using a forum in ChiroACCESS to get rolling." Comment: This is a timely development, particularly given the elevated interest of NIH NCCAM in the real world, and a nascent but apparently significant interest in health and wellness outcomes. My only concern is for Hawk, who seems to have started up a dozen useful projects and relationships in the last year, for which she was honored in the Integrator Top 10 People for 2010. Hawk appears to be making the argument for human cloning. "Canada: When the Natural Health Product Directorate was formed in Canada, some of the consultants to Health Canada brought our St. John's wort monograph to the regulators as an example of what was needed in Canada. This led to the adoption of the monograph system that they now have in place. They likely would have come to that conclusion without AHP but it greased the wheels and was a no-brainer. Canada formally acknowledges the authoritativeness of AHP monographs and recently entered into a collaboration to develop a bacopa monograph. "Hong Kong: After the publication of [AHP's] Schisandra and Reishi monographs, two researchers from Hong Kong's Baptist University came up to me at a conference there and excitedly told me they had proposed and it was adopted to develop a similar set of monographs for Chinese herbs in Hong Kong. This gave birth to the Hong Kong standards, now a corner stone of TCM quality assurance. "Africa and South America: AHP was partly responsible for inspiring the development of the South American and African Herbal Pharmacopoeias, the latter of which was just published. At USP, their researchers told me that whenever they are going to do a botanical monograph they first look to see if AHP has done one and then takes their lead from that. "HPLTC and Microscopy: Eike Reich of Camag, the world's leader in HPTLC [High Performance Thin Layer Chromatography] equipment, used AHP's focus on HPTLC and inclusion of HPTLC images as a spring-board to show USP, the European Pharmacopoeia, Indian Pharmacopoeia, and Chinese Pharmacopeia how valuable it is to have the images. As of that time, none of them provided images. Now they are all developing compendia to present the images. And, HPTLC, which prior to AHP's work was relegated to the doldrums of analytical technologies in the botanical world, has become a fully integrated component of the QC programs of many companies. We have pushed the community on microscopy as well with USP seeing our work and developing their own micro images in the Compendium." Comment: This is quite a track record for an under-funded organization braced significantly by the labors of Upton and his team. Comment: The writings of Atul Gawande, MD on the state of the US healthcare system have had a particularly significant influence on policy makers since Barack Obama singled out his June 2009 New Yorker article on the shocking variations in Medicare payments in McAllen, Texas compared to other parts of the country. Gawande's January 17, 2011 New Yorker article, The Hot Spotters: Can we lower costs by giving the neediest patients better care, is stimulating a similarly high level of interest. One beneficiary will certainly be health coaches and health coaching. In examining how one medical group works with its most expensive an demanding clientele, Gawande reports that a central strategy is the employment of a small battalion of health coaches. This visibility for health coaches gives added urgency to the initiative led by Harvard's Margaret Moore, RN and University of Minnesota's Karen Lawson, MD to set standards of education and credentialing for this emerging field. That initiative, reported here, is presently developing a white paper that is expected to be completed by April 1, 2011. Swiss government reverses itself gives CAM "chance to prove its worth as insurable"
In 2005, the Swiss interior ministry banned the therapies. In 2009, 2/3 of the Swiss population voted to have them on the list of paid services. 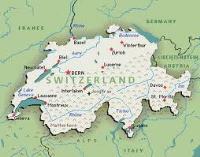 In December 2010, a Swiss federal commission recommended thatthey be banned permanently. Comment: ... and now the present development. Perhaps this should go to the Hague. CAM Faces International Tribunal. And will the Swiss brief on the 2009 referendum is here. Thanks to reader Mathias Kaesabier, executive vice-president for ABC Coding Solutions for the heads up. This weekend intensive seminar frm the Institute for Human Individuality (IfHI) Biannual Symposium features naturopathic physician, scientist, lecturer and author, Peter J. D'Adamo, ND. According to a note from the Institute, attendees will be presented with "the most current research findings in polymorphic medicine, epigenetics and nutrigenomics." D'Adamo will be joined by special guest lecturer, Dr. Mitch Bebel Stargrove. (Note: Stargrove's appointment to the leadership of a Health Resources Services Administration project is noted under policy in this Round-up.) Dolce Conference Center, Norwalk, Connecticut. Author, homeopath and frequent Huffington Post blogger Dana Ullman, MPH, struck a rich chord with his January 30, 2011 post entitled, "Luc Montagnier, Nobel prize winner, takes homeopathy seriously." Ullman begins noting Montagnier's 2008 Nobel Prize in 2008 for discovering the AIDS virus then turns to a December 24, 2010 interview with Montagnier in Science magazine. There, Montagnier not only supports the field but also backs the ideas in homeopathy that are most ridiculed: "I can't say that homeopathy is right in everything. What I can say now is that the high dilutions (used in homeopathy) are right. High dilutions of something are not nothing. They are water structures which mimic the original molecules." Within 3 days, Ullman's article had generated over 900 comments. Over 9000 readers had shared the article with others. A commentary from Bill Manahan, MD, originally published in the Integrator in slightly different format, has been published in Minnesota Medicine, the journal of the Minnesota Medical Association. The piece is entitled Eight Suggestions for Promoting Physician Well-Being: Ways to make medicine more satisfying for doctors and better for their health. Manahan, an Integrator adviser, originally wrote the piece in response to a call for ideas for #10 in the Top 10 for 2008. He responded with his own Top 10 list, in his case, of reform ideas. Manahan's views were posted as Holistic Leader Bill Manahan, MD: "My Tenth Idea - Revisioning Healthcare for 2009. Comment: A few months after Manahan graciously contacted me for approval for re-publication (the Integrator has a liveral re-publication policy, in line with its mission), he sent along the link, with this note: "This is the article that came about because an editor at Minnesota Medicine was reading your Blog and she came across my article." Ahh ... the power and influence!
" ... you know, there has been so much talk of late of the importance of exercise, the importance of fitness, the importance of positive thinking .. I don't like to call it exercise, I like to call it trim-nastics." LaLanne was a graduate of the Oakland Chiropractic College. A note honoring his promotion of chiropractic, in an era of horrendous polarization, was published by the Foundation for Chiropractic progress, which is, suitably, the marketing organization for that profession.